What's not in an economy package that he's going to need? -There's no folding file system like there is in our standard packages to keep things organized - Who cares? you say? That's why we're econo-mizing here! 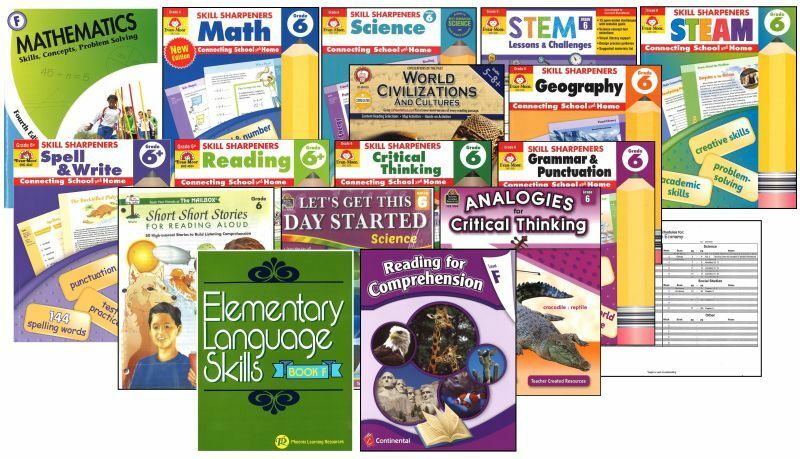 There are no Study Guides or Supplements, a couple of really cool Homeschool Supercenter imprinted pencils are missing, no ruler either, and the usual Record Keeping Forms, Report Card form, Transcript Form, and few other things aren't here. This package isn't as pricey because we put the more expensive texts and extra goodies into our standard and deluxe, more expensive packages! That only makes sense doesn't it? All the CORE content is here! and for some that's all they want. -MATHEMATICS is always going to be part of every package. This course doesn't include a hard cover, super fancy, mathematics text. - One program consists of a set of four workbooks for learning Math entitled: Key to Metric Measurement. Include an Answer key in this mix and you have a wonderfully complete math course for an entire semester. No skimping on educational content! - Another workbook that just focuses on Fractions is also part of this year's math curriculum. 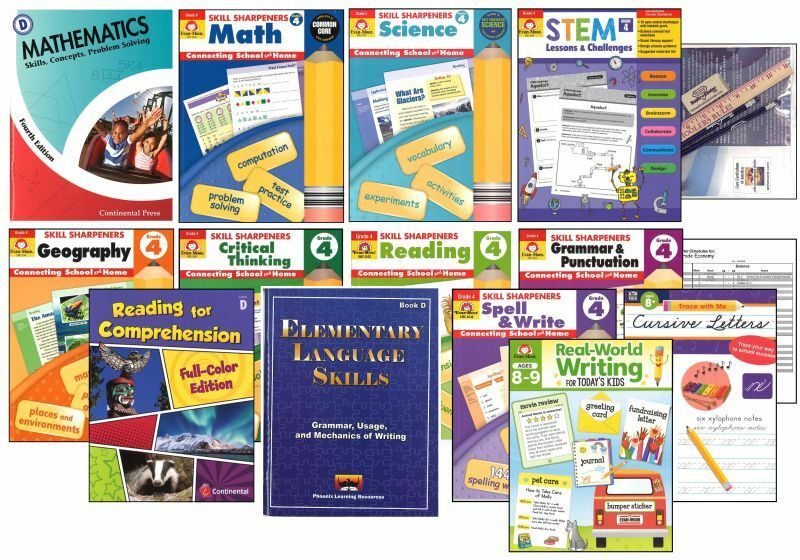 -Also - a 2 color workbook covering the same topics but with an emphasis on word problems and mastering math concepts for another complete semester of grade level, standards-based mathematical content. An answer key - to make us parent's life easier - is provided as well. -A real nice 2 color workbook covering grade level content in Life SCIENCE is here for your student. This workbook is well written, covers not only the basics but much more. 290+ pages. This course is thorough and most assuredly effective. Not too much content...not too little... like GoldiLocks said: "Just Right!" And, as always - our science courses are activity based (Experiments help lock in content knowledge) and include an Answer Key for Mom and Dad. -What if we integrated a workbook to assist with his/her studies in SOCIAL STUDIES / HISTORY this year? OK! That's what we did! Your student will be using a full-color workbook covering World Cultures from the Past to the Present. Your student will be learning all about the dIfferent continents and people of those lands while touring the World. We include an answer key for the parent/teacher. Technology is all around us! So... we're including technology too! 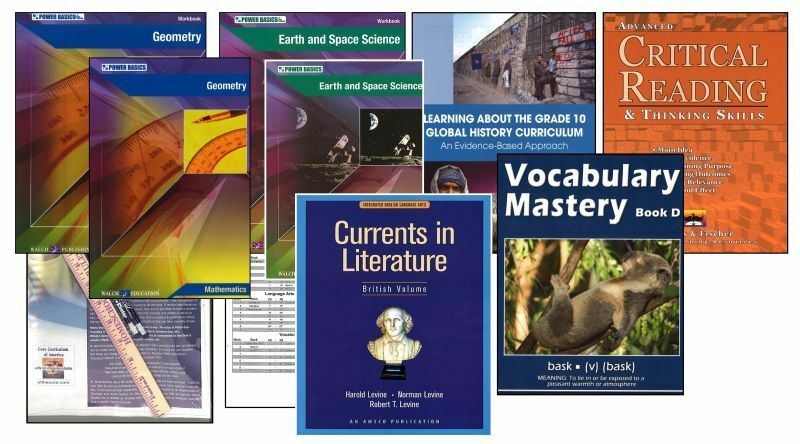 A HISTORY CD-ROM with hundreds of worksheets and a ton of information covering Ancient Civilizations and Cultures (an ideal companion to the student workbook mentioned above) is being included for parents and students alike. Pop that puppy into your computer - print out any extra worksheets you want to use and - wallah! What does "wallah" mean anyway? Whatever... FYI: The answers are found on the CD too. -An ENGLISH GRAMMAR course in a 2-color workbook format is included as part of the Language Arts. This workbook covers all forms of grade-level Grammar, Usage and Mechanics. An Answer Key is tossed in as well. -A staple in all of our economy packages is the very popular, phonics based SPELLING & WRITING course, also in a write-in workbook format. This course incorporates correct spelling, definitions, application, and writing/word usage. An answer key is bound into the back of this workbook. -No! We didn't forget READING / LITERATURE. That's here too! 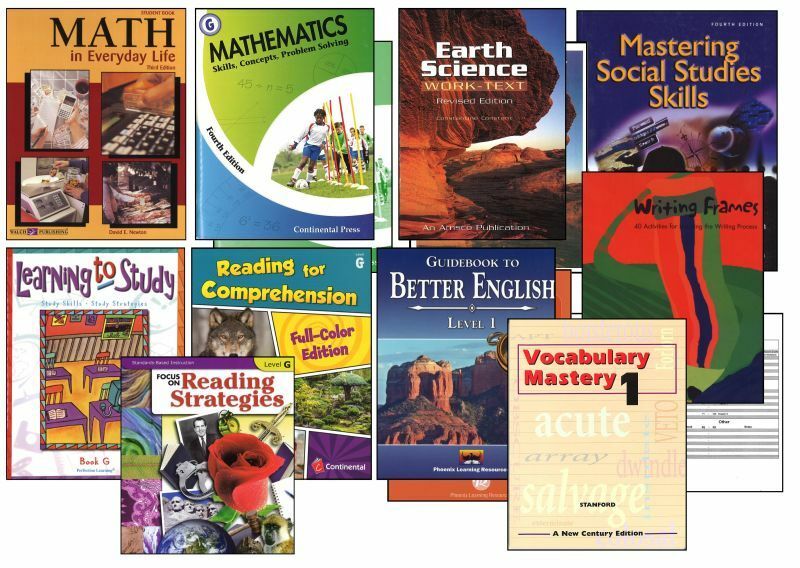 A workbook and answer key covering all the needed skills in reading, decoding, understanding, writing structure, and comprehension. The book is full-color to make it friendly, presentable, motivating, and interesting. There's an answer key for parents - now doesn't that help ease your stress? We hope so. -We're not done... no, no, no. We must have your young adult work on his/her Reading skills even further! So, we are packing more content into this package. 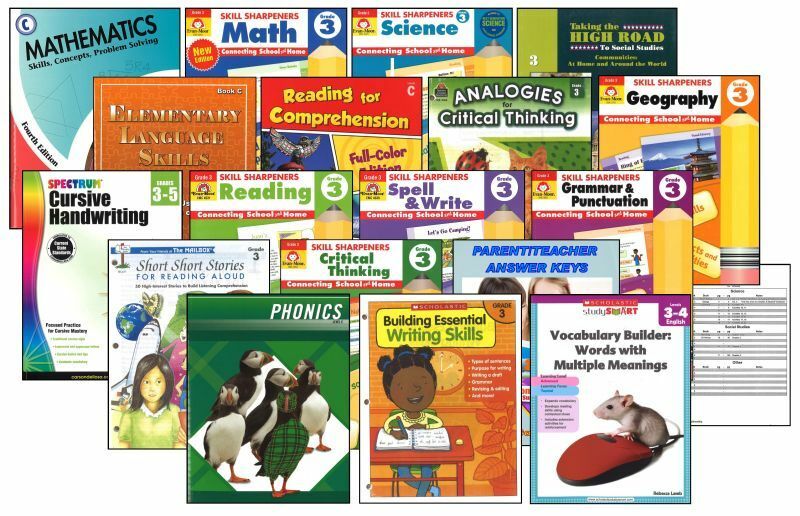 A 3 book set of READING workbooks is also provided. Yes - 3 of 'em - covering the topic of reading from the Novice level through to the Advanced level. 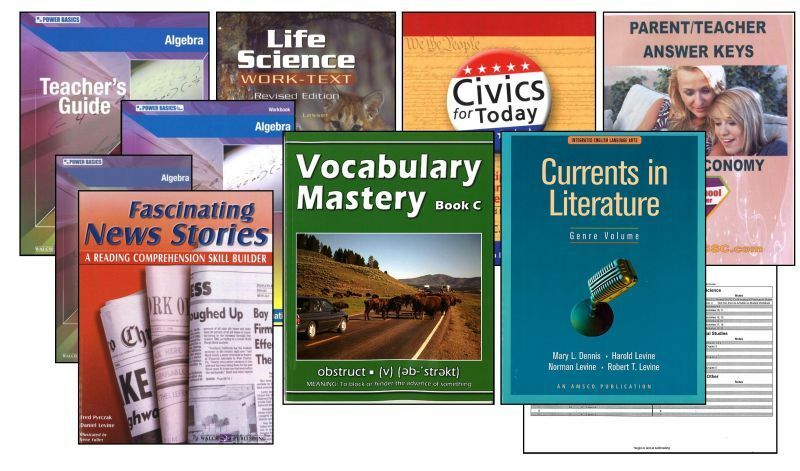 Reading enjoyment is nurtured through the high-interest content - All that the things that reading entails... it's included in this fine, full-color workbook set to sharpen your his/her skills. -AND a Full-Year suggested schedule as well as a Student Notebook Planner is in here too!